Asphalt shingles are the most popular roof covering for homes, largely because they are relatively inexpensive, are durable, and come in a wide variety of styles, colors, and textures. 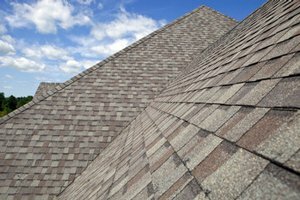 Here at Guaranteed Roofing, we carry three-tab shingles and architectural shingles from leading manufacturers to give your home a long-lasting beautiful finish. We are your local asphalt roofing expert serving Mason, West Chester, Lebanon and many areas of Ohio. Call us at 1-513-583-5917 or click below to schedule your roof inspection and get a no-cost, no-obligation roofing estimate.